The best selection of pet id tags available on the web. Including Stainless Steel, Aluminum, Brass, and Officially Licensed NFL pet tags. We custom engrave each pet tag and ship it free of charge. 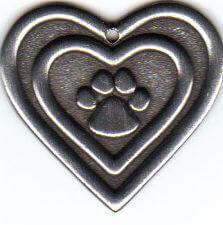 Each pet tag is cared for by professionals and custom engraved by people who truly care about your pets safety.